Disguising himself as an exquisite and helpless DIAMONDFLY, MUMM-RA entices LION-O into the monstrous domain of SPIDERA, Queen of Eight Legs. 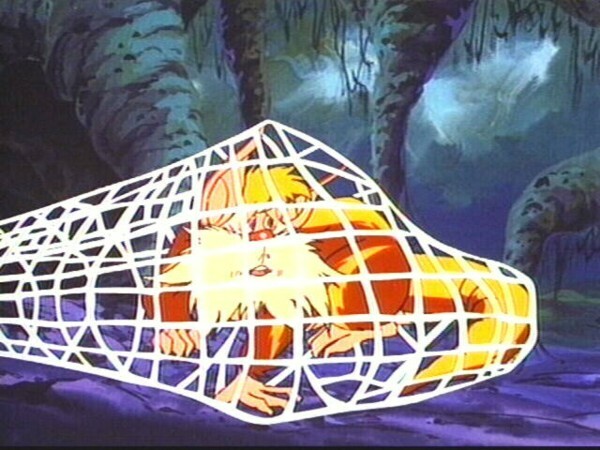 SPIDERA entraps LION-O and SNARF in her web. 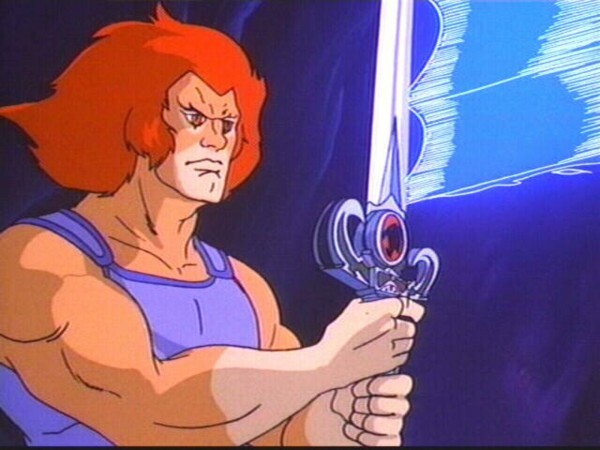 In the process, LION-O loses the Sword. The other THUNDERCATS try to free them and are immobilized one by one though not before TYGRA seizes the fallen Sword and throws it to SNARF. 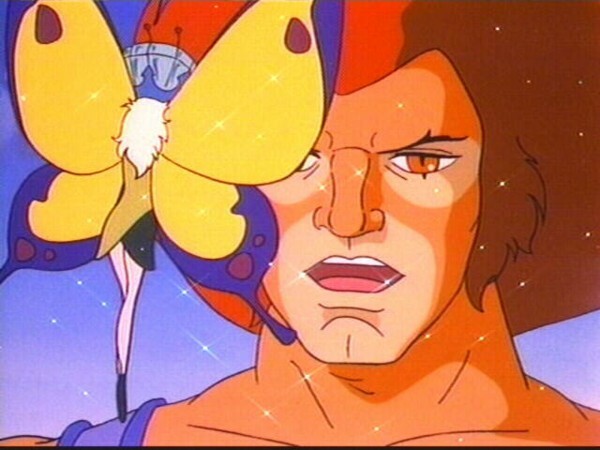 With great effort, SNARF frees his powerful tail from his cocoon prison, catches the Sword and flicks it to LION-O. 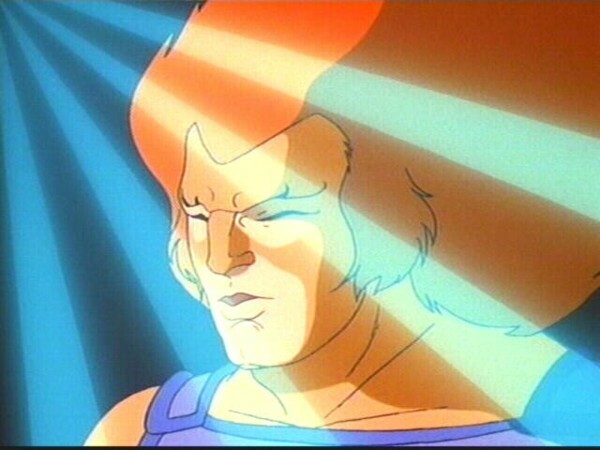 LION-O bursts his bonds and inspires the THUNDERCATS to free themselves. They concentrate all their powers on SPIDERA and destroy her. 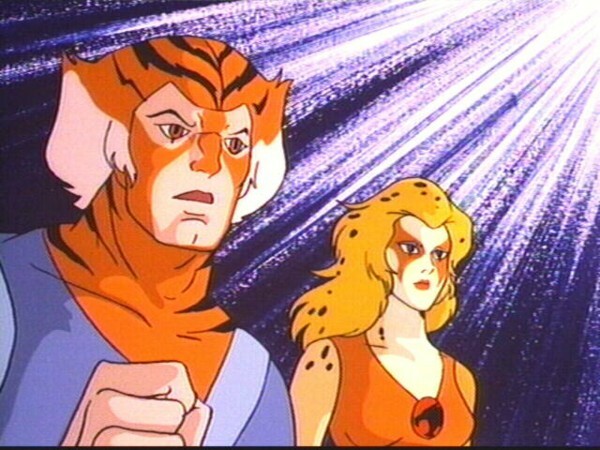 The ThunderCats enter into a Kingdom of Webs, where the evil of deception and the entanglements, which follow, are represented. Mumm-Ra uses deception to try and entrap Lion-O in the domain of frenzy, hate and rage. But an honest awareness of what is happening allows Snarf, Lion-O and the other ThunderCats to break the bonds of deception. Sometimes we succumb to the lure of deceit as an easy way out of difficult situations. We may deny we have uncomfortable feelings of envy or anger towards someone and try to disguise our feelings. Or we may deny we have done something wrong and misrepresent what happened to friends, parents, or authorities. When something like this happens and we chose to be deceitful and dishonest we find, like the Kingdom of Webs, our entanglements growing larger and larger, since deception has a way of expanding. To maintain our story, we must lie more and more to others and ourselves and gradually we feel trapped and guilty. The only real solution to situations like this is to be honest and own up to feelings or our actions both to others and ourselves. Then we can deal with the reality of the situation and resolve it rather than covering up. And in doing so, we are relieved of the burden of lying and the entanglements and guilt it creates. 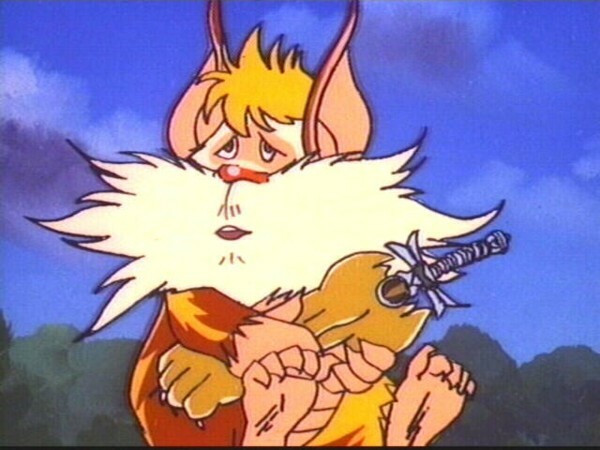 Digging within ourselves for honesty and perseverance, like Snarf did, can lead us back to a state of openness and harmony with others. Arachnophobia, the fear of spiders, is arguably the most common phobia to afflict the human race. Potentially some of the most menacing-looking creatures in creation, it is therefore completely unsurprising that the concept of giant spiders has been used extensively in horror and fantasy genres for many years, including such legendary tales as Tolkien’s Lord of the Rings. Therefore, it could only have been a matter of time before the concept of the ThunderCats having to battle giant spiders made its way into the ThunderCats animated series. This episode has a fairly straightforward yet effective plot. 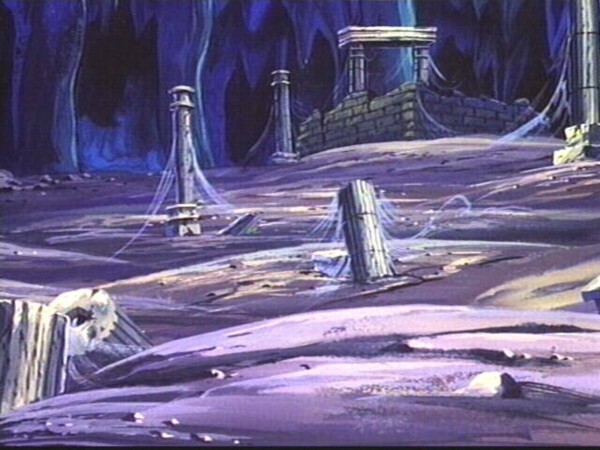 Although the origin of the Kingdom of Webs is not explained in this episode, it’s not difficult to imagine it as a somewhat intimidating yet relatively innocuous dark corner of Third Earth, boasting a population of larger-than-average spiders, not without their own dangers but not a major threat. All of this changes upon the emergence of Spidera, a powerful and blatantly evil creature whose potential for destruction becomes instantly evident to Mumm-Ra. 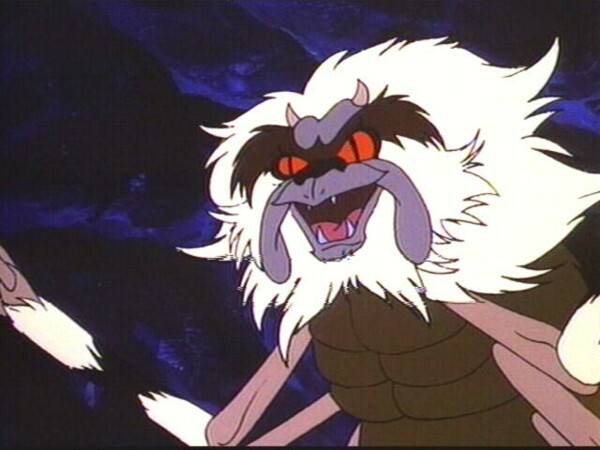 For Mumm-Ra to then assume the guise of the hypnotic Diamondfly to lure Lion-O into Spidera’s kingdom is a standard plot device, but one that works effectively, particularly when the hypnotized Lion-O is pursued by Snarf, who himself falls prey to the fate envisaged by Mumm-Ra for Lion-O. 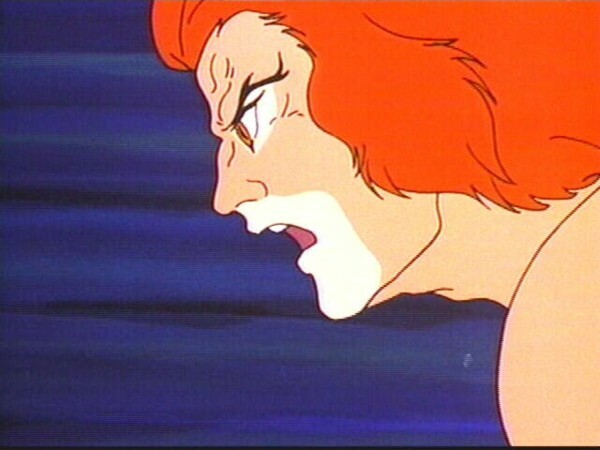 Perhaps one of the most notable things about this episode is how much physical strength Lion-O displays. 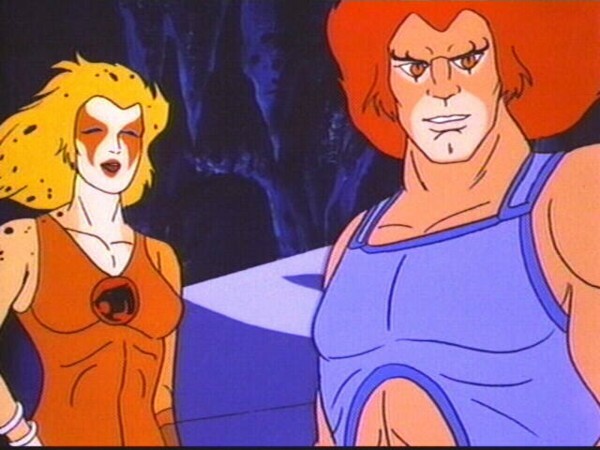 Although not technically superhuman in terms of strength when compared to other heroes of the same genre, nonetheless it’s easy to forget how strong Lion-O actually is, having proved himself to be the strongest of all the ThunderCats in “The Trial of Strength”. This episode expertly showcases this, with Lion-O calling on all the strength at the command of his bulging muscles to snap steel webbing, and again to stretch Spidera’s mighty webbing and reclaim the Sword of Omens. Another concept explored within this episode is how physical strength can be as connected to force of will as to force of muscle, something that Snarf, arguably the most unlikely of the ThunderCats to display a feat of physical strength, demonstrates to great effect! Despite the somewhat creepy concept of the ThunderCats having to battle giant spiders, in reality this episode is not especially scary. Whilst that may seem like a wasted opportunity, given the series’ target audience it is perhaps unsurprising that the animators chose to give Spidera a sufficiently exaggerated face that does not instantly suggest “giant spider”. In fact, none of the spiders seen in this episode are particularly realistic, which again could be viewed as something of a wasted opportunity. 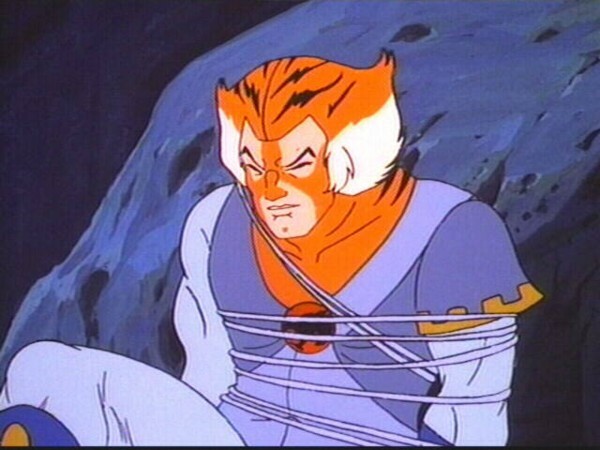 With arguably one of the most genuinely scary concepts to make its way into the ThunderCats universe, it could be argued that this episode had the potential to achieve a sense of threat and menace that would almost never be possible within the series again. And yet, I’m quite certain that for many arachnophobia sufferers the fact that the animators chose to tone down Spidera and her eight-legged underlings for this episode is something that they will be eternally grateful for! This episode is not particularly remarkable for its plot, or for any great character exploration or development. 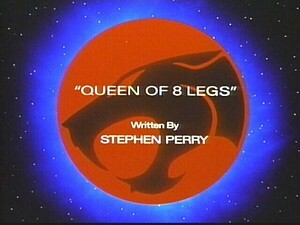 Nonetheless, because of the unique nature of its guest villain, it is an episode that stands out for its unique qualities and exciting action sequences. Although not the strongest episode of the series, nonetheless “Queen of 8 Legs” is an episode that everyone (even those afraid of spiders!) can enjoy. Mumm-Ra communicates with Nemesis, Force of Darkness, again in this episode, just as he did in “The Doom-Gaze”. When Snarf runs out of Cats’ Lair shortly after Lion-O has been led away by the Diamondfly, no explanation is given as to why Snarf should choose that moment to appear. However, in Marvel Comics’ adaptation of this episode, it is explained that Snarf runs out after Lion-O because he has missed dinnertime! 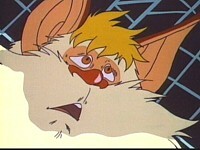 The character of Spidera would return in the Season One finale episode, “Fond Memories”. 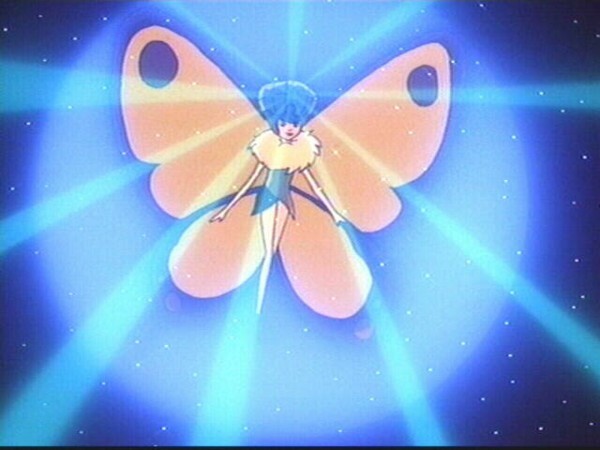 When Marvel Comics published their own adaptation of this episode, it featured a radically different ending to the one seen here. In the comic adaptation, the ThunderCats are faced with having to kill Spidera, which Lion-O agonizes over, and the ThunderCats subsequently defeat Spidera by using the Sword of Omens’ power to reform the egg that she hatched out of, containing her inside.